Deacon Edward "Plunk" Jamison, son of the late Mr. William Jamison and Mrs. Hattie Rice, was born June 12, 1922 in Colleton County, Islandton, South Carolina. 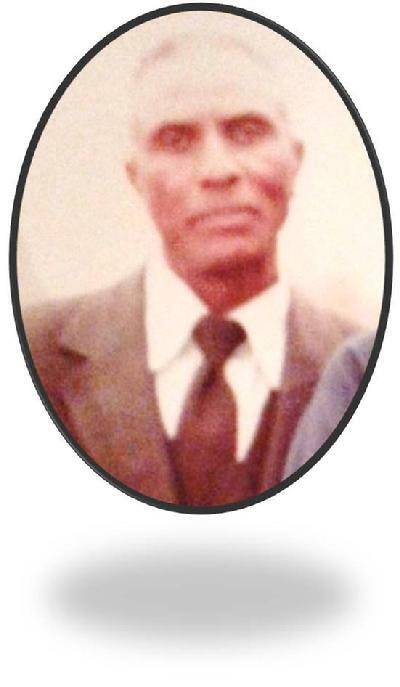 He departed this life at the residence of his daughter, Missionary Mildred Breland, on Saturday, October 20, 2018. He attended the public schools of Colleton County, South Carolina. Deacon Jamison was a dedicated member of the Holy Temple Church of the Apostolic Faith where served faithfully until his health declined. He served in various capacities and was dedicated to his service to the community. Deacon Jamison was a retired employee of Georgia Pacific, Walterboro, South Carolina where he worked as a welder. He was joined in holy matrimony to the late Mother Virginia Fielding-Jamison, February 18, 1946. To this union five children were born; one daughter preceded him in death, (Glennell Jamison-Brown). Left to cherish his memories are his loving, devoted daughter and caregiver, Missionary Mildred J. Breland, of Islandton, South Carolina, Laura M. Fennell of Columbia, South Carolina, Martha V. Jamison of Columbia, South Carolina, and Betty Evans (Michael) of Fayetteville, North Carolina; two sisters: Janie Edwards of Ruffin, South Carolina, and Audrey Delaney of Charleston, South Carolina; two brothers: Lewis Jamison (Gertrude) Ruffin, South Carolina and Willis Jamison (Shirley) of Bronx, NY, and Gerald Lingard of Ruffin, South Carolina; five grandchildren; 12 great-grands; and a host of nieces, nephews, cousins and friends.